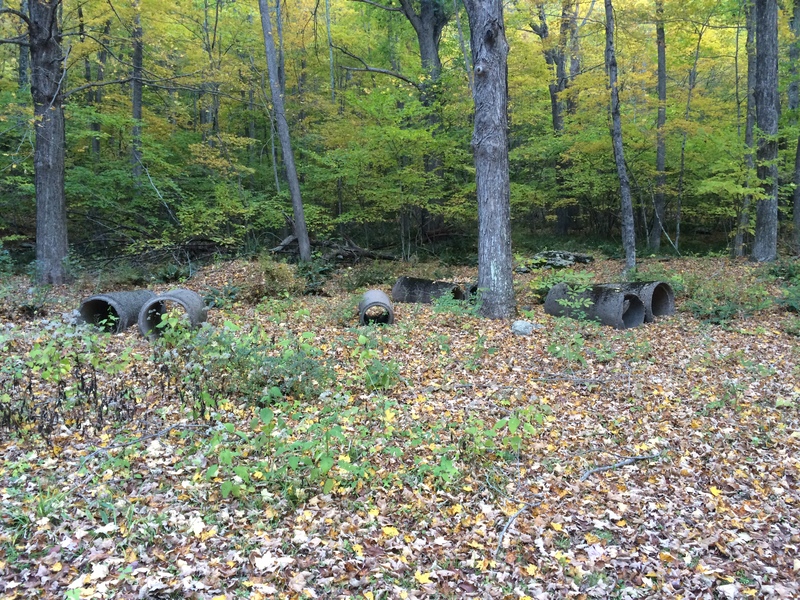 Camp Macedonia Brook operated as a base for the Civilian Conservation Corps from 1933 to 1936, during the New Deal. 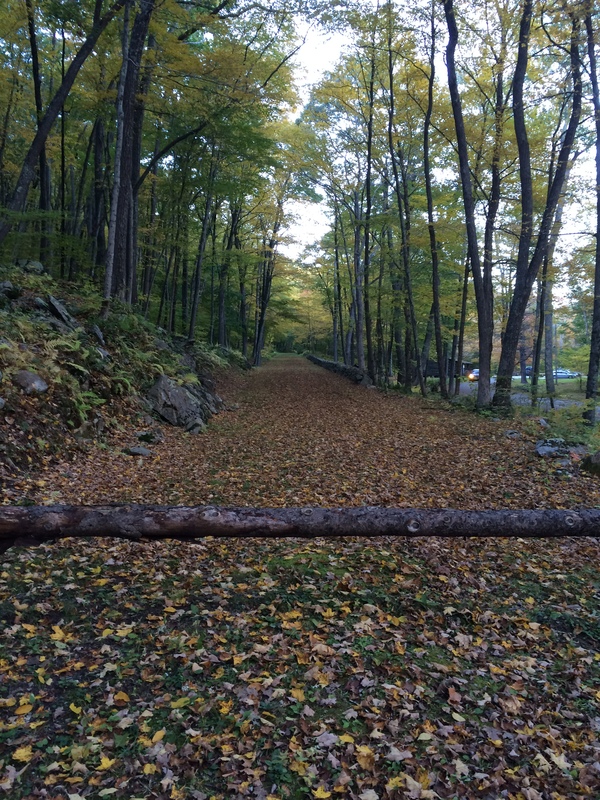 The camp was charged with building a new road to Macedonia Brook State Park and a road to the top of Kent Falls. The road to Macedonia, which still exists, was especially difficult, requiring many cuts into the rocks and filling. The New York, New Haven, and Hartford Railroad ran alongside the camp, allowing for direct delivery of supplies. The men of the camp were also involved in flood relief during the 1936 floods of the Housatonic. 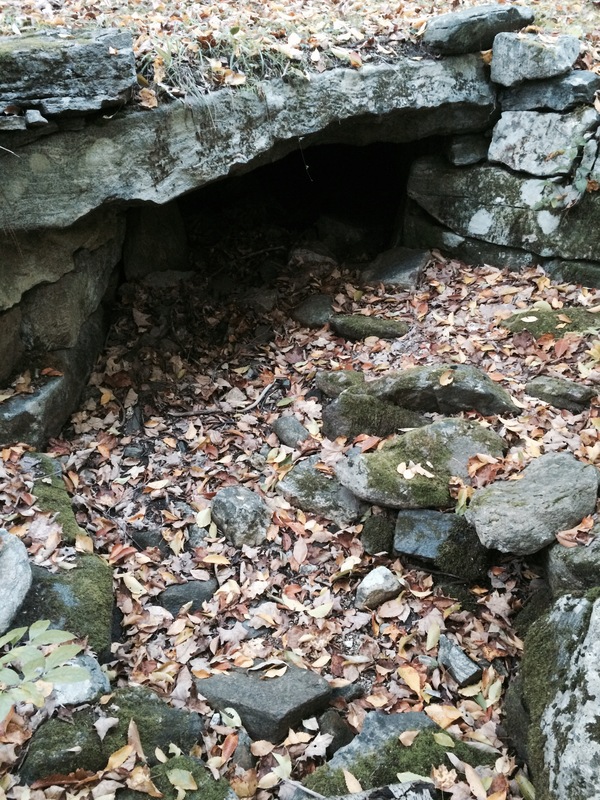 Fall is a wonderful time to explore the history of Litchfield County. 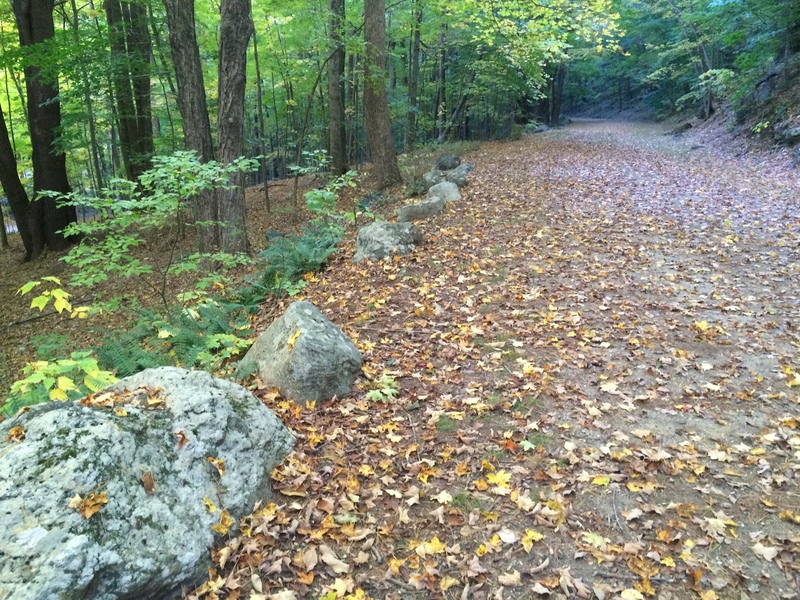 At Macedonia State Park, a road built by the Civilian Conservation Corps during the Great Depression offers insights into the area’s history. 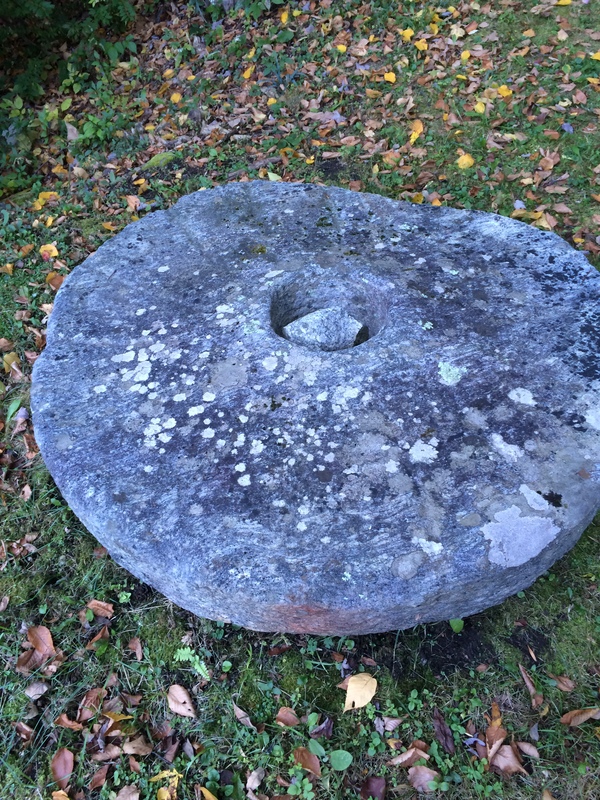 An old grindstone can be seen along the roadside, certainly pre-dating the CCC. 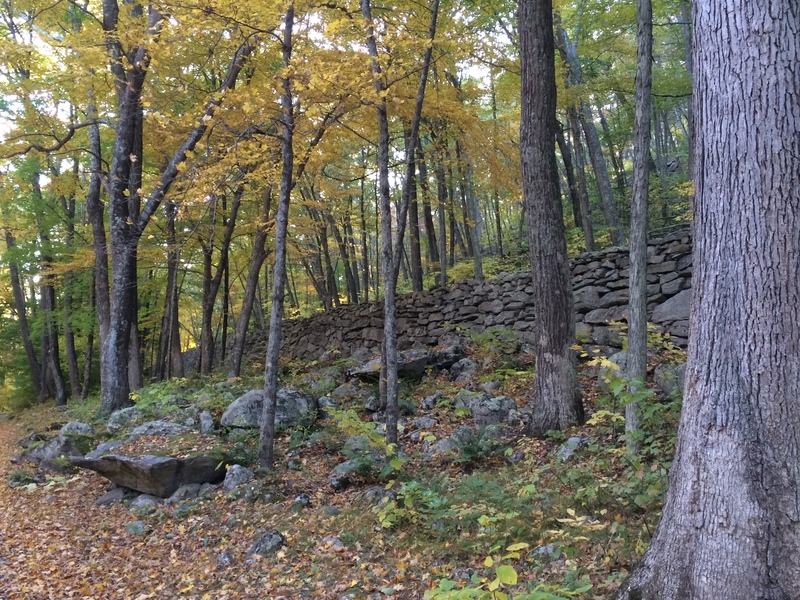 The explorer can appreciate the beauty of the CCC’s stonewalls. The CCC was established by the Roosevelt Administration as a New Deal agency to both protect the environment and give work to 18-24 year old men. 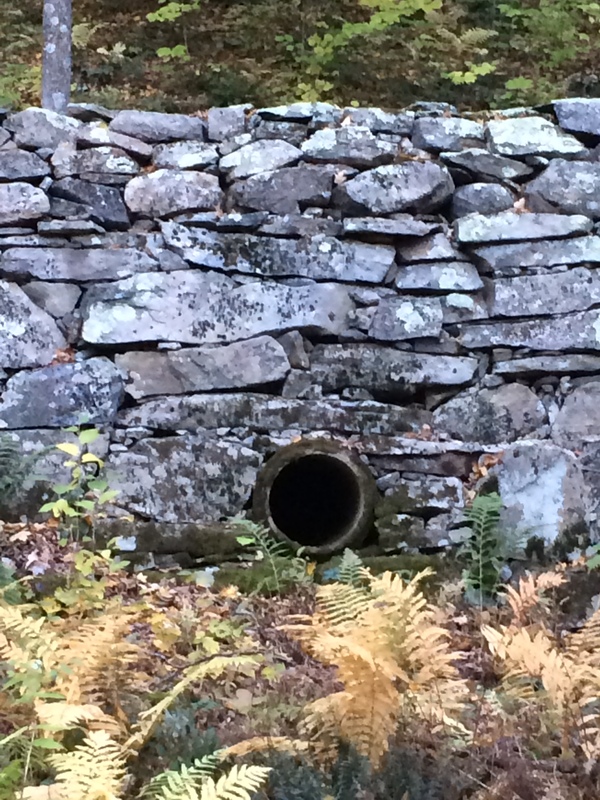 The two photographs above provide a glimpse into the drainage system developed by the CCC. Even after a heavy rainfall the previous day, the road was dry. CCC members cut rocks to create the roadway. 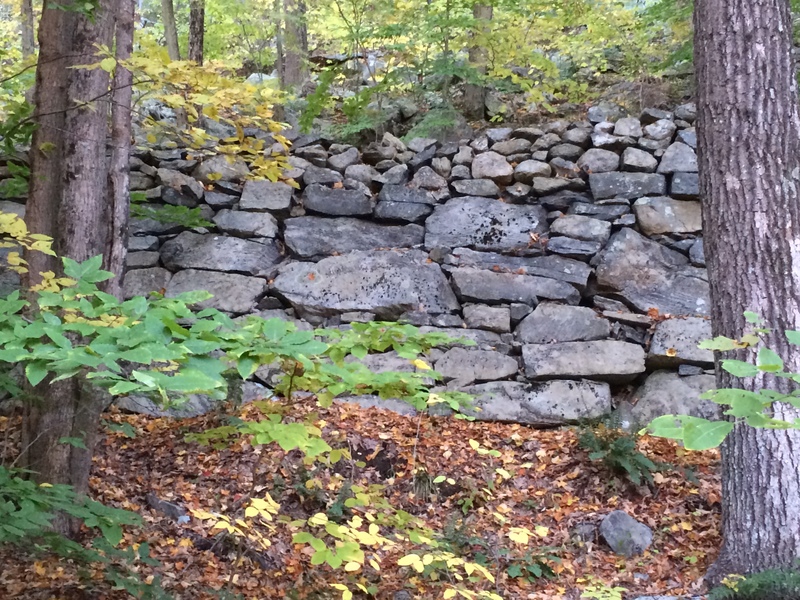 Where the men didn’t build stonewalls, they put coping stones in place to serve as guardrails. 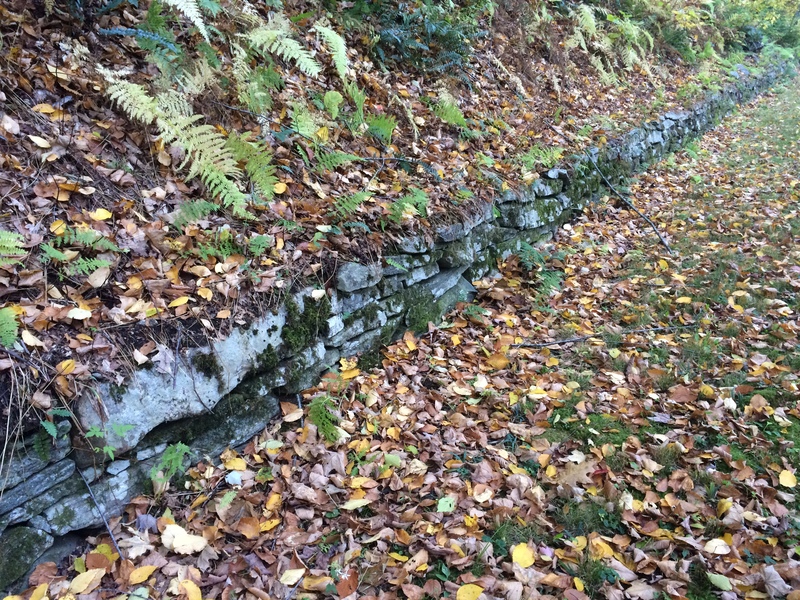 A true appreciation for the scope of the work done by the CCC can be gained by examining the sheer size of the road’s retaining walls. 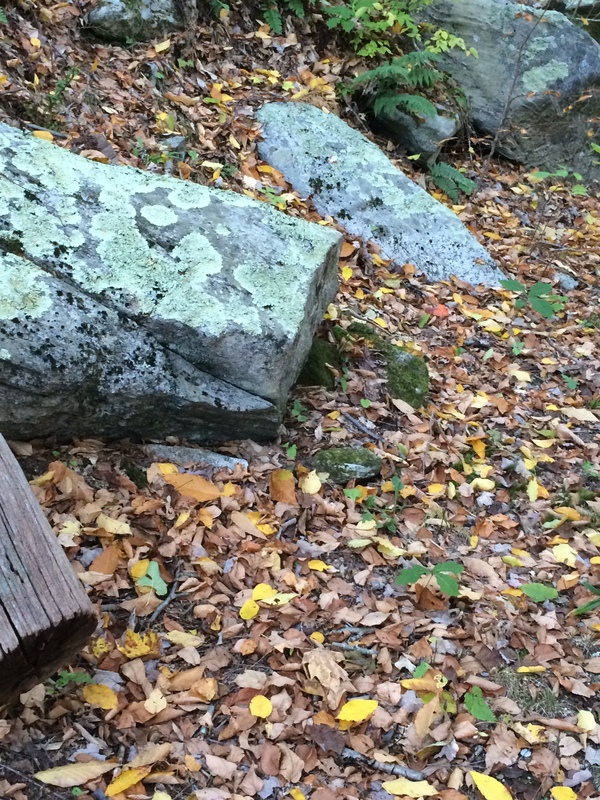 This entry was posted in Architecture, Geography, History, Nature and tagged CCC, Franklin Roosevelt, Kent, Kent Falls, Macedonia Brook State Park, state parks by pvermily. Bookmark the permalink.